“It sat down, it sat down!” This is the exclamation of an excited birder looking for banded dotterel/pohowera nests. 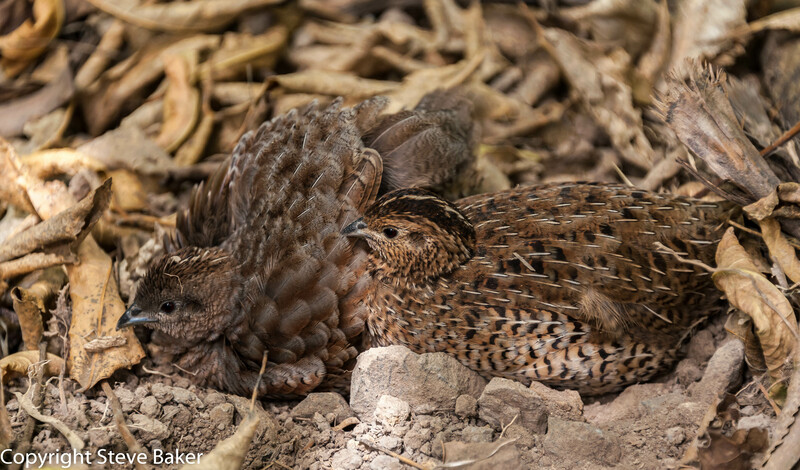 It’s breeding season and its time figure out if our new predator cages will work to help boost nesting success. Our native New Zealand pigeon—the magnificent kererū (also known as kūkū or kūkupa in Northland)—features in today’s Photo of the Week. New Zealanders have been asked to keep their eyes open for kererū from now until Sunday, 5 October and to log their findings on the Great Kererū Count website. It’d be great to see you get involved in this citizen science project, which will help build a detailed picture of kererū distribution across the country. The Great Kererū Count is organised by Forest & Bird, the Kiwi Conservation Club and Kererū Discovery. Photo by Southstar | CC BY 2.0. We have had so many great comments telling us why you want this beautiful poster. The giveaway is now closed and the winning comment (picked at random) is from Anna Margaret. Em Scott also picks up a copy for naming all of the birds. Thanks for commenting. 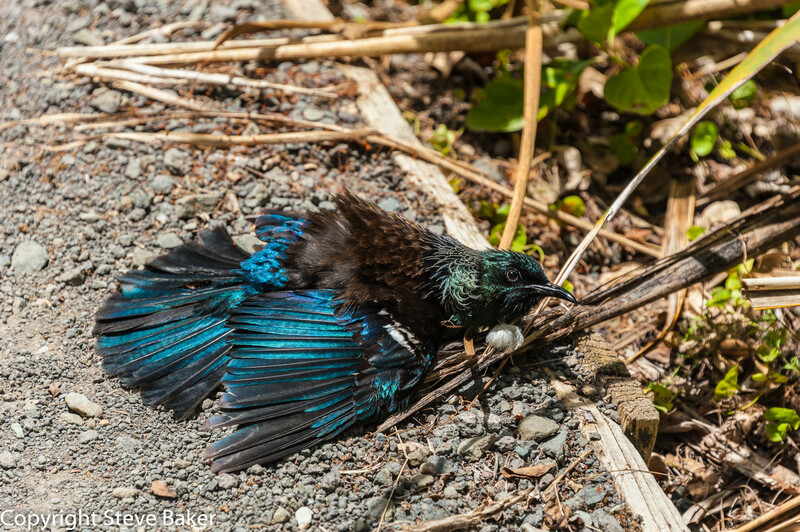 If you’ve been following the Conservation Blog for a while you might remember that last November we gave away a copy of Buller’s Birds of New Zealand. At the time I said that each painting was a masterpiece that I wanted to frame for my wall. I also said that pulling apart such a precious book for a piece of wall art would be criminal. This month I found the solution to my problem. May I present to you Native Birds of New Zealand—the poster. The image used in this poster is a cromolithograph (c. 1900) by William Shaw Diedrich Schmidt. The birds in Schmidt’s work were based on the artwork of J.G Keulemans in Walter Buller’s A History of the Birds of New Zealand. How gorgeous is that? How perfect would it look on my (ahem, I mean your) wall? How great would it be to win a copy? Well, today you have a chance, thanks to Te Papa Press. All you need to do to be in with a shot of winning the Native Birds of New Zealand poster is to leave a comment on this post before 12 noon, Wednesday 23 October 2013, telling us why you want it. A winner will be selected at random and contacted by email. For an extra chance to win (yes, that’s two copies of the poster we’re giving away), and a fun challenge for the dedicated bird lovers amongst us, who can name the most birds in the poster? Unfortunately we can only post to New Zealand addresses. 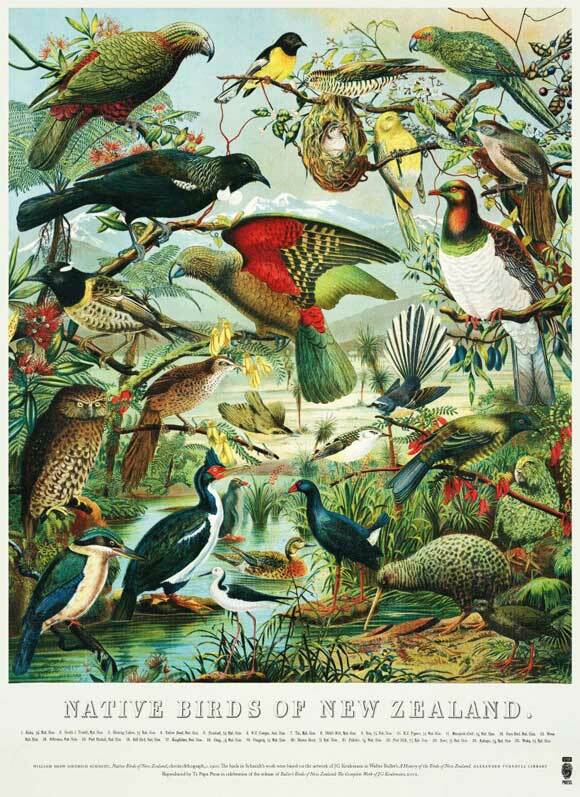 The Native Birds of New Zealand poster (755mm x 449mm) is valued at $24.99 and is available to purchase from Te Papa (and their online store). In today’s busy world, it is too easy for me to make excuses as to why I don’t get out into the great outdoors as often as I would like to. A few weeks ago, a group of us took the plunge. 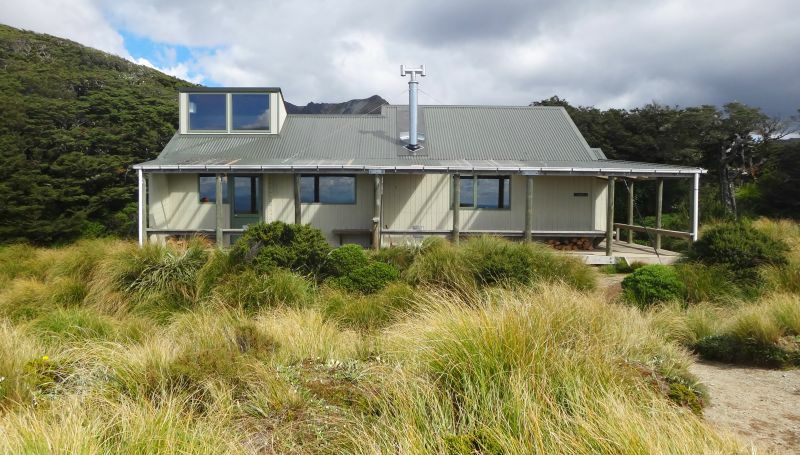 Leaving behind our flat whites, we made our way up to Sunrise Hut—a fabulous modern hut perched high on the hills of the Ruahine Forest Park. This hut was no draughty tin shack; it was warm (insulation really works) had triple bunks, a fire, great cooking facilities and was the perfect place to hit the ‘reset’ button. 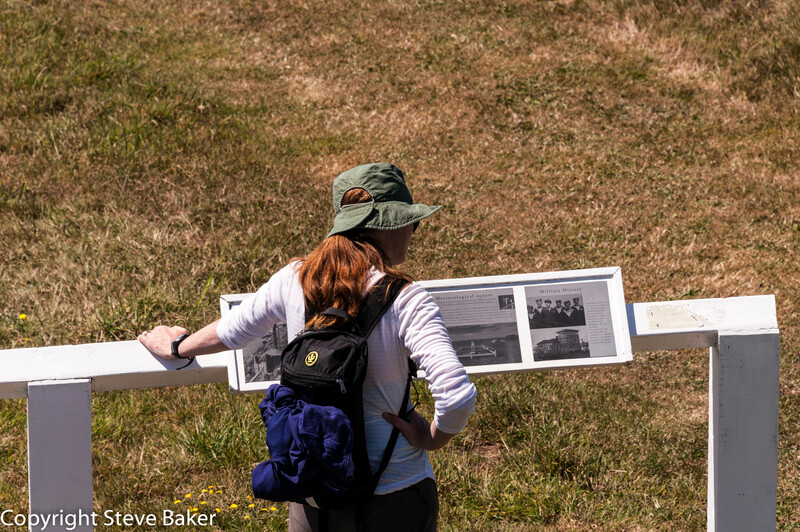 Our route up was an easy gradual climb on a wide and well maintained track—a perfect width for chatting as we walked. Surrounded by trees, the warmth of the autumn sun and the chirp of our native birds, we seemed to reach the top quickly. As we approached the hut, the vegetation changed (sub-alpine) and my imagination went into overdrive, I was walking in the enchanted forest, just like the fairy tales I read as a child. And if ever there was a hut that’s name was appropriate, it is Sunrise Hut. Usually I struggle with early mornings, but the temptation to watch the sunrise over Hawke’s Bay was enough to force me out of bed—a decision I don’t regret. The view was spectacular and I felt like I was on top of the world. Was my night away enjoyable? Yes. But a better word would be AMAZING. The questions is, why don’t I do this more often? 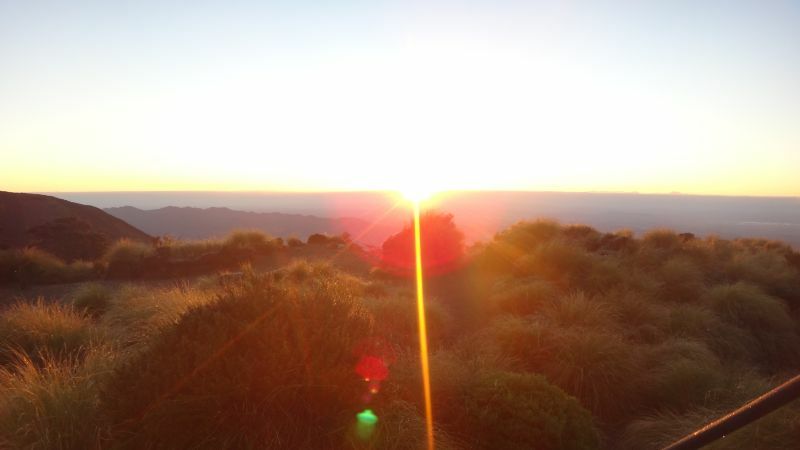 The sunrise over the Hawke’s Bay was amazing! 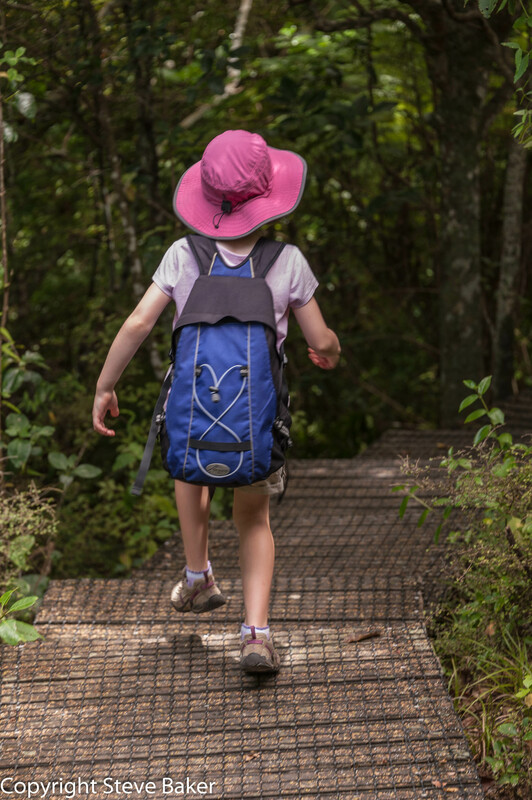 The family-focused conservation education programme Kiwi Ranger is being launched on Tiritiri Matangi Island this Queen’s Birthday weekend—for the first time giving Auckland kids the chance to be accredited as Kiwi Rangers. Steve had always wanted to go to Tiritiri, so we decided to go before Christmas—before the hordes. The forecast was not great, with cyclone warnings, but the day turned out beautiful. We bought a guide book on the boat so, when we arrived, we headed straight up the Wattle Track, which meanders up to the lighthouse and visitor centre. I heard a strange noise, and then we saw it—a takahē skulking in the bushes. Meg thought that was pretty great. We checked out the lighthouse and spent a bit of time looking at the really good history interpretation panels. The old fog horn captured my imagination; I loved the old pictures of it originally sited over the cliff, and then seeing the replica one. By then it was lunchtime, so we sat down in a big grassy area and ate while we chatted to the friendly DOC ranger. We checked out the visitor centre and the shop, where I finished off my Christmas shopping. It seemed crazy shopping on an offshore island, but hey, they had some pretty funky things, and I felt good that my money was going to support a good cause. 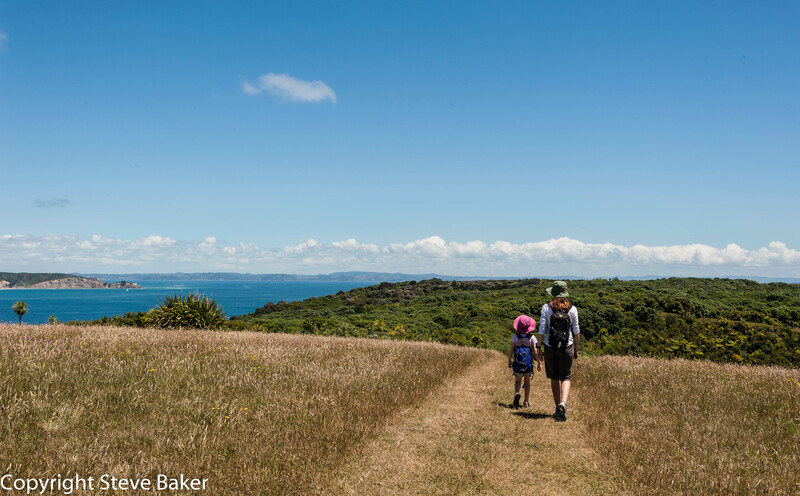 We walked along the ridge track and got nice views all around the Hauraki Gulf, and looked for things rustling in bushes. The most amazing thing about the trip was how close we got to the birds. On the mainland most forest birds hang out high in the canopy, but on Tiri they were actually scuttling around on the ground. We saw tui and quail having dust baths right on the track! 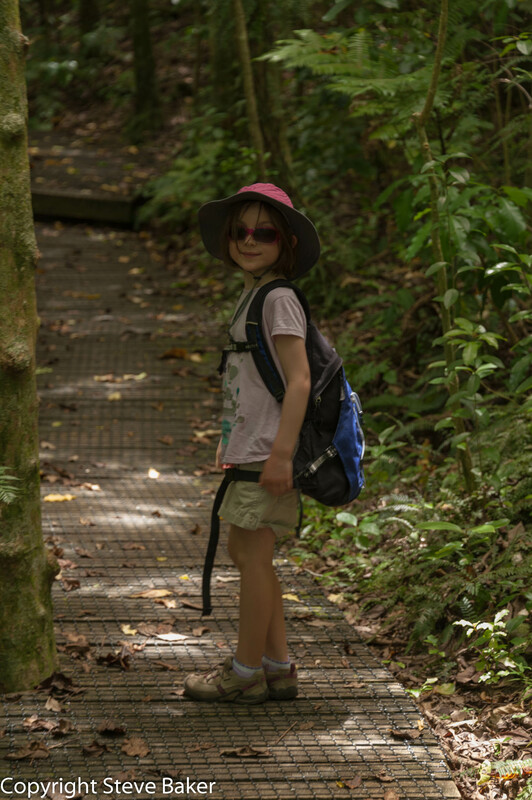 We weren’t sure how long it would take to walk the tracks with Meg, so we played it safe and headed down the Kawerau Track. In hindsight we probably could have gone further, but in some ways it was quite nice not to ‘frog-march’ around the island. There is something really magic about just wandering—taking time to see things properly. 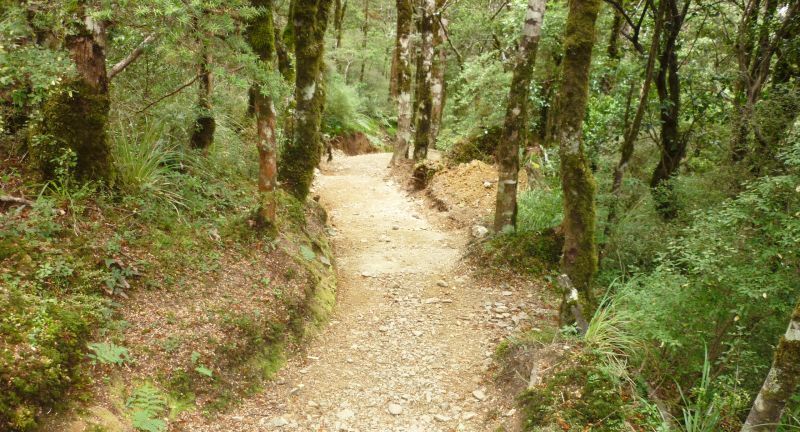 The Kawerau Track was a really special old piece of forest, with pūriri and other really cool trees that you just don’t see in the South Island. We had time on our hands so we ended up down on the beach and went for a swim before heading back to the boat. We’d seen saddlebacks, takahē, amazing flowering rata and pohutukawa but, while we were waiting for the boat, we heard these people talking about seeing a kōkako. Steve was a bit disappointed to have missed that, so yes, we were thinking about coming back before we’d even left the island! And with Kiwi Ranger on the island now, Meg is pretty keen to get her hands on the badge. I know from having done it in other places it’s a great way to discover the hidden secrets of a place like Tiri. 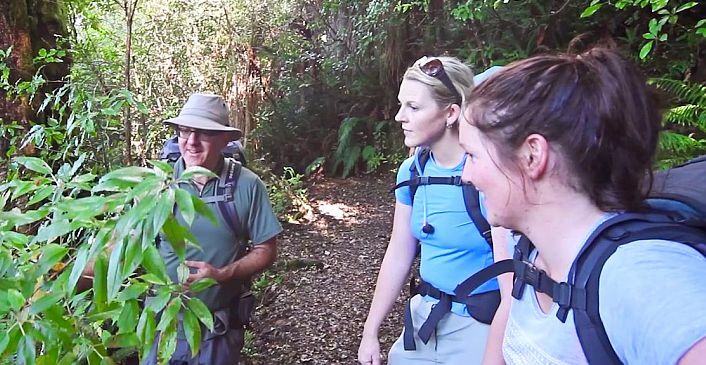 When we come back we’ll walk some of the other tracks and we’d love to go stay overnight to hear a kōkako calling and experience the dawn chorus. Meg was pretty quiet on the boat home. She sat leaning on the railing looking back towards the island as we pulled away. She’d had quality time with mum and dad, been for a swim, and seen some cool birds. It’s the kind of family time that makes for great memories, memories that last a lifetime. 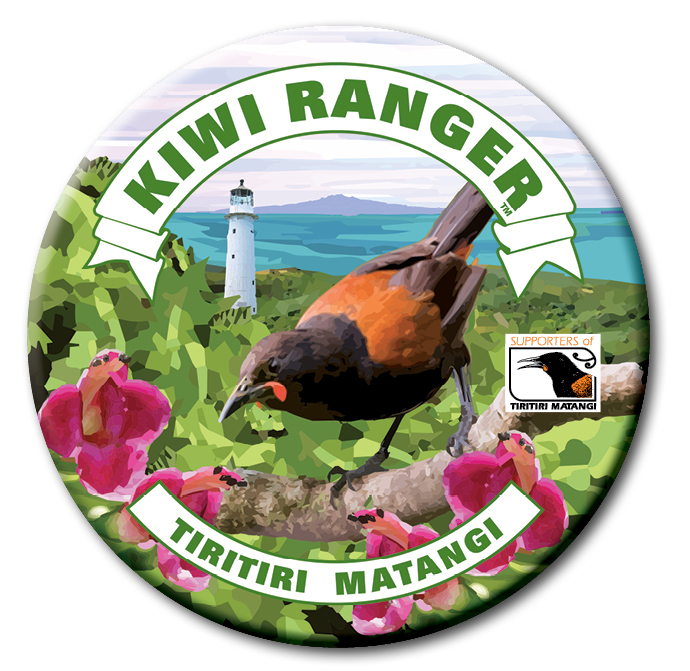 Kiwi Ranger is being launched on Tiritiri Matangi over this Queen’s Birthday weekend, 1-3 June 2013. 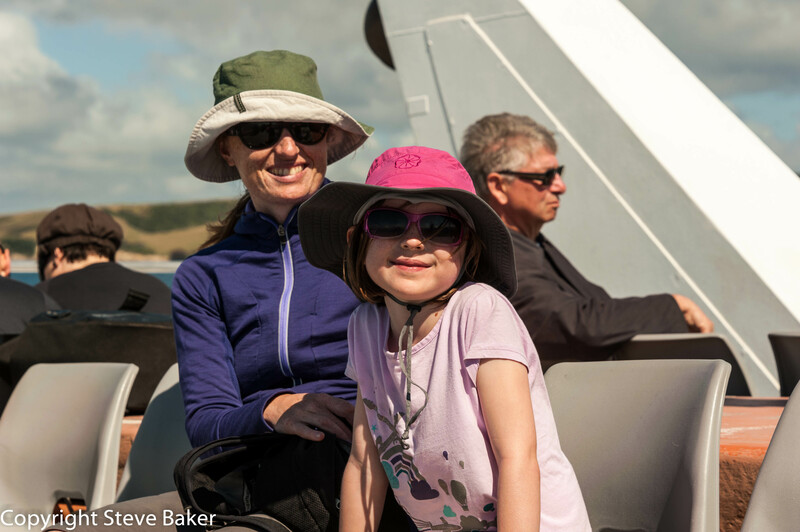 Join Lucy Lawless to become one of the first Tiritiri Kiwi Rangers! Ferry company, 360 Discovery, are making it easy for families to travel to the island during Queen’s Birthday Weekend. One child may travel free with each fare-paying adult. Go to their website or call 0800 360 3472 to book. 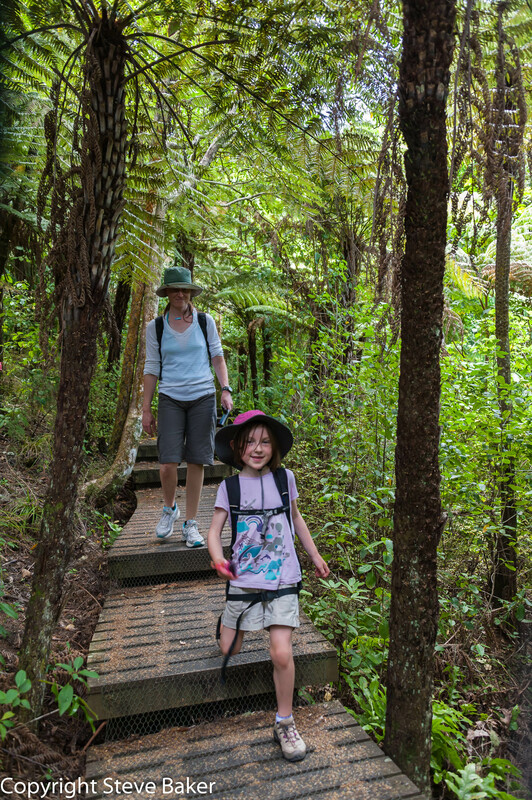 The Kiwi Ranger programme will be ongoing, so visit any day Wed -Sun for a fun family day out with a difference.